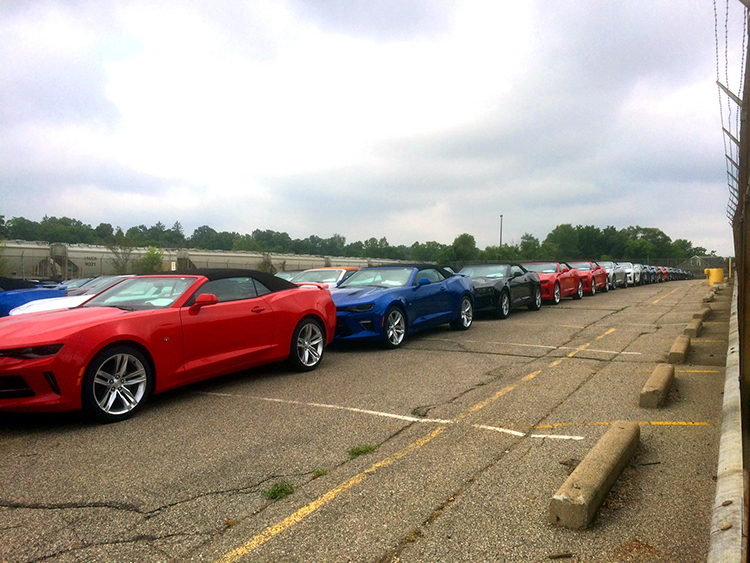 Acres of shiny new Chevrolet Camaros temporarily parked outside a Lansing auto plant: temporarily because they’re being snapped up by customers almost as fast as the state-of-the-art facility can ship them out. The image may sum up the evidence assembled in a new study from the respected Fraser Institute in Canada. Called “Ontario Versus Michigan: Lessons from the Wolverine State,” the report examines how the neighboring state and province have done economically before and after the dramatic business climate changes enacted in Michigan beginning in 2011. A state economic resurgence has followed in the wake of the reforms, which included an overhaul of the state’s business tax system, government spending restraint and adoption of a right-to-work law. 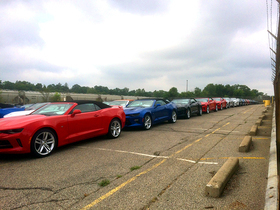 The reforms may also explain why Chevy Camaros are now being made in Lansing instead of Oshawa, Ontario, where they had been built until late 2015. Or it might have been pure coincidence that the move was announced by General Motors just eight days after right-to-work was signed into law by a Michigan governor. Exploring possible connections like that is one good reason for Fraser examining changes between Michigan and Ontario growth rates in both overall output — GDP — and manufacturing output, based on data from 2000 to 2014. In short, Michigan has been doing better since these reforms were put in place, and it’s important for policymakers to understand whether and how much of the two things are related. The changes sprang from the election of 2010, which gave a reform-minded Republican caucus control of the House, and a noncareer politician named Rick Snyder the governor’s office on the same ticket. The GOP also padded its lead in the state Senate to a two-thirds supermajority. Snyder and legislators began by scrapping a hated gross receipts-type business tax in favor of a simpler, flatter and lighter corporate income tax. Because spending was contained the state budget was kept in balance even with a net tax cut. In addition to the business tax changes, Fraser focused on Michigan's right-to-work law that took effect in 2013. The authors reviewed the evidence in previous studies on the economic impact of right-to-work laws, including from a 2013 Mackinac Center study. The consensus of this research is that right-to-work laws are generally associated with positive changes in such things as employment, income and state economic growth. The third policy area Fraser examined was government spending. Michigan Gov. Snyder contained growth in state spending, debt and government employment. In contrast, in recent years the provincial government of Ontario has presided over what Fraser calls “chronic budget deficits and rising public debt." Fraser took great care in measuring the relative performances of Michigan and Ontario, making sure they weren’t comparing the U.S. and Canada as a whole. Their data show that Michigan’s positive economic changes coincided very closely with the significant state-level policy changes.